A jetboat ride is the fastest and best fun you can have on the water. Get strapped in and feel the roar of the jet boat engine as fly across the water and experience the thrill of some amazing turns. Jetboats are safe and were only once available in New Zealand but jet boat rides are now accessible across Australia, especially in Sydney. Jet boats are amazing. Try a jet boat ride today!! Prepare yourself for pure adrenalin with our 1 hour guided jetski tour. Experience the beauty of South Stradbroke Island and the impressive mansions of the Gold Coast. Prepare yourself for pure adrenalin with our 2 hour guided jetski tour. Experience the beauty of South Stradbroke Island and the impressive mansions of the Gold Coast. Jetboating Gold Coast is the new, must do activity for the whole family! Experience the ultimate dose of extreme adrenaline packed adventure on your Surfers Paradise jet boat ride including extreme 360* spins, awesome wake surfing, high speed drifting and incredible 'Beach Buzzing' Its an Adventure! 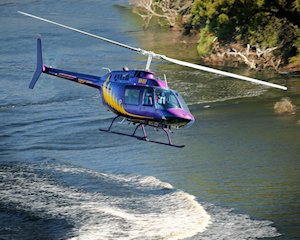 Enjoy Gold Coast views from the air aboard a scenic helicopter flight and from the water aboard an exhilarating jet boat ride on Gold Coasts famous Broadwater waterways. Experience Pure Adrenalin as you speed around our purpose built 1km circuit aboard our 1500cc SeaDoo jetskis. These awesome machines pack a whopping 130 horsepower, propelling you at speeds of up to 100kph. Ride alone or bring a friend as this ride is valid for up to two people. Easy to ride. Gold Coast Jet Boat - Family Special Save! Grab the family and jump aboard our powerful jetboat for a adrenalin ride, full of 360 spins, slides and shallow water skimming. The Gold Coast Mangrove Jet Boating adventure is a extreme jet boating experience combined with an Eco wilderness adventure! Experience the ultimate dose of adrenaline packed adventure and explore the secluded mangrove channels of the beautiful Broadwater on Australia's most exciting Jet Boat ride. Fly over scenic Hobart and Mount Wellington in this scenic heli flight before heading south towards the picturesque Huon Valley, board the jet boat and enjoy the wild ride! Explore the scenic WA beaches from above and discover the Swan River in a unique way with this helicopter flight and jet boat ride. What better way to see the world's most remote capital city? This adrenalin-packed experience will have you experiencing the best of Perth like never before! Experience the best of Perth in two very different ways with this helicopter flight and jet boat ride. Climb in for an awe-inspiring helicopter flight over the city and then hang on tight for a blast of a jet boat ride on the Swan River! This adrenalin-packed experience will leave you buzzing. Discover the magic of Sydney Harbour by Jet Boat as we race past all the Harbour icons; with light-hearted commentary and photo opportunities, including a full 'Jet Blast' experience and heart-stopping manoevres. A continual mix of music keeps the jetboat rockin'! Come Experience the Adrenalin rush on water! Looking for a high speed adventure? An instant adrenalin rush with soaking wet spins? Travelling at speeds of up to 80Km/Hr? Sit back hang on, as we unleash the power, an absolute must for people who want to experience the thrill of their life!! Come and enjoy the thrill and exhilaration of jet boating on the Swan River! Hold on tight as we unleash the full power of the jet boat at nearly 70km/h, with a continual mix of 270 degree spins, wild fish tails and incredible power brake stops. What a rush! Come and enjoy the thrill and exhilaration of jet boating on the Swan River. This is your opportunity to experience the rush and excitement of raw power and high speed jet boat manoeuvres - so hang on tight! This jet boat adventure will leave you buzzing with excitement! Children will love the thrill and exhilaration of jet boating on the Swan River! A jet boat ride is your chance to experience raw power and high-speed jet boat manoeuvres. It's also a great was to see the city of Perth. Jet boat riding is exciting and is lots and lots of fun! Grab your team or group and head out for the most fun in Lake Macquarie! Jump into our high speed jet boat for the ride of a lifetime, as you experience high speed slides, turns and 360 degree spins. Hang on tight for 40 minutes as we push the boat to the limit and make sure you never leave dry! Explore the Swan River in the funnest way possible! This experience takes you alongside Kings Park and the Old Swan in style. Skim across the waves, get air and feel the spray. With fishtails, 360 degree spins and heaps to see, you'll reach 80kph and see what happens! Take your family on the ride of their life on a 30-minute action packed jet boat ride! Thunder down the Derwent River over the white water rapids and between exposed rocks. Add a few 360 degree spins, and you've got jet boating at its best! Get your blood pumping with a jet boat adventure on Darwin's magnificent harbour! If you love having your sense of stability challenged and your staying powers tested, then jump aboard for the ride of a lifetime. Jet boating is an awesome adventure for anyone who loves to feel their adrenalin soar! This jet boat adventure is for people who love to feel their adrenalin go wild! Climb on board, hold on tight and brace yourself as you are taken for a series of hair-raising jet boating manoeuvres on Darwin's magnificent harbour. Test your staying powers as you are taken for the ride of your life! Jet Boat and Jet Ski Adventure is a great experience for anyone into high speed thrills. Experience a 55 minute high speed jet boat ride before jumping onto a 1500 CC Sea Doo Jet Ski for a high speed 30 minute thrill ride. The Largest Queensland Jet boat company has put together a great package with a Jet boat thrilling experience and an indivdual fun jet ski-ing adventure. This can be done as one person or to share together. Jet Boat and Unlimited Theme Park Entry! Save money and time.... Buy a discount pass that combines your exciting 55 minute jet boat adventure ride with a Theme Park VIP pass allowing you unlimited entry to Movie World, Sea World and Wet'n'Wild Water World until the end of June, 2011!